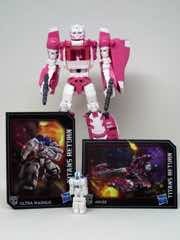 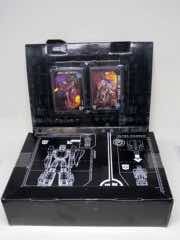 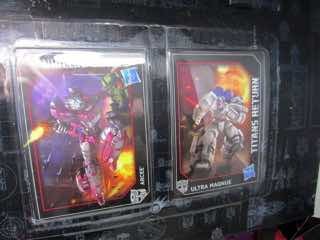 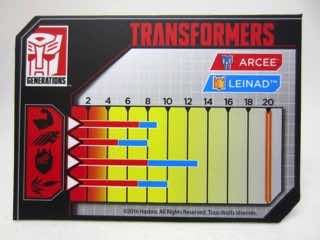 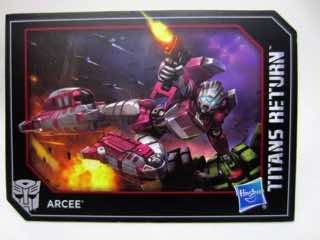 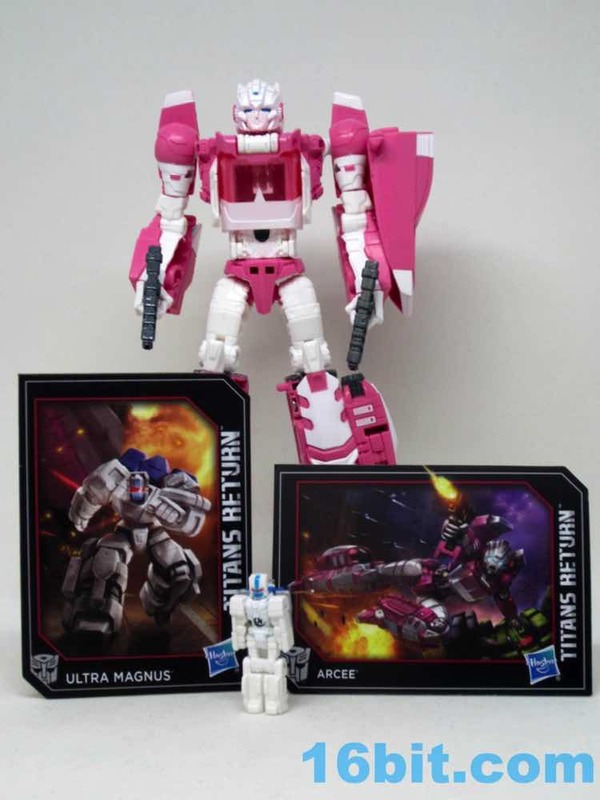 I assumed that Arcee had to be part of a fan club or subscription service - it appears that it is not. 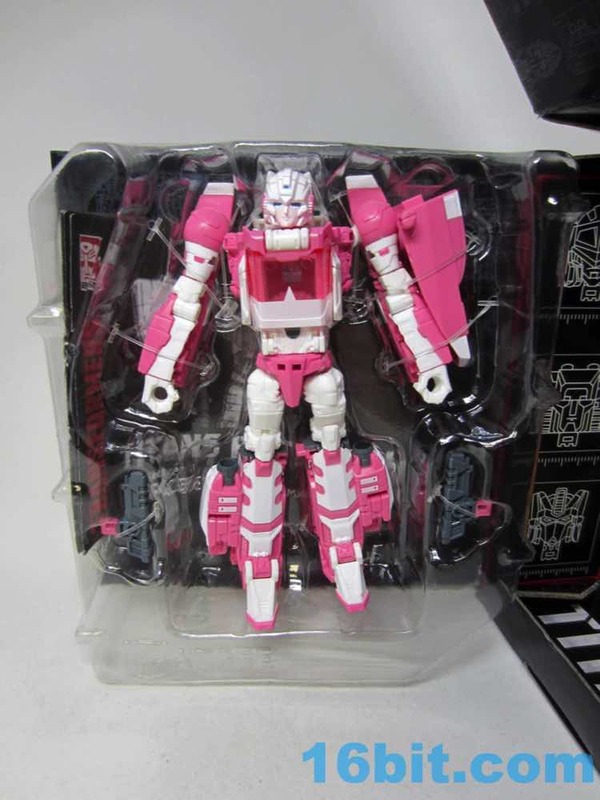 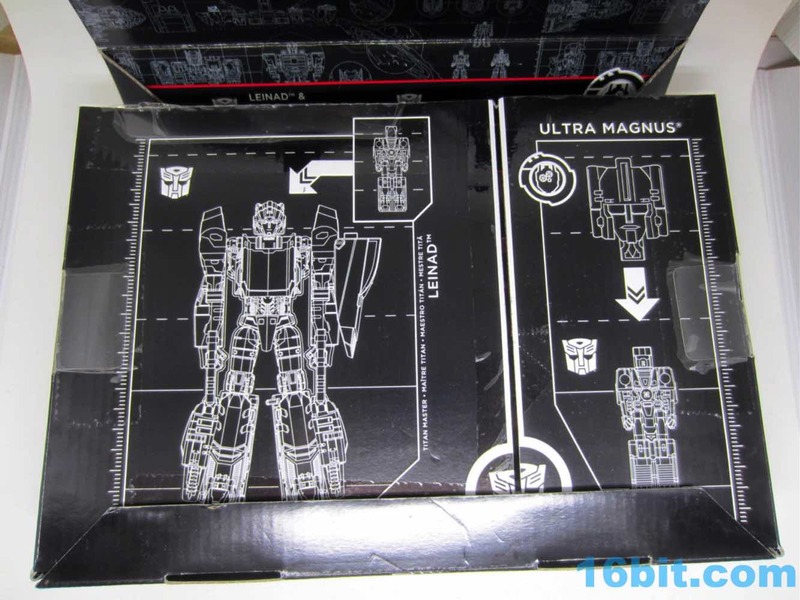 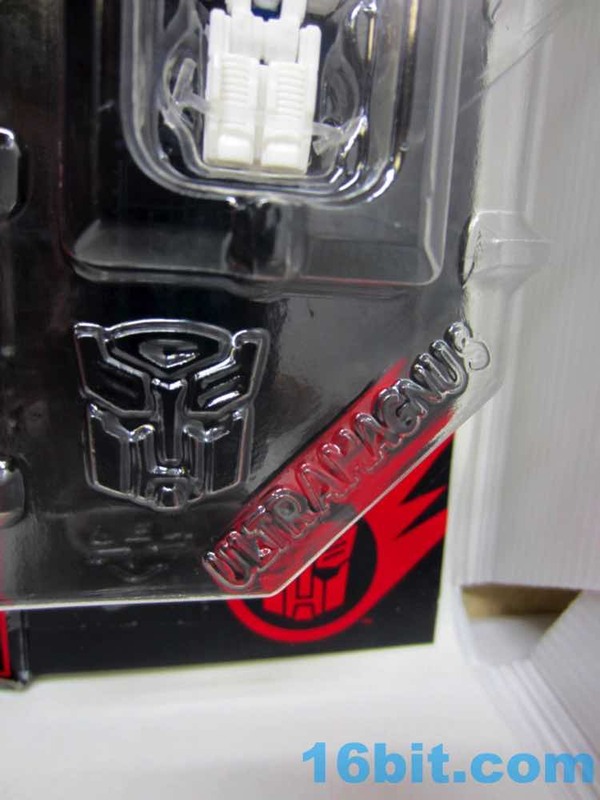 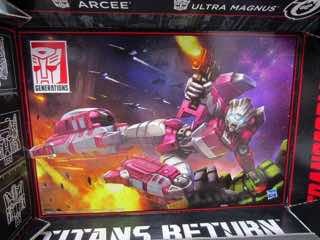 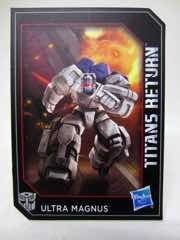 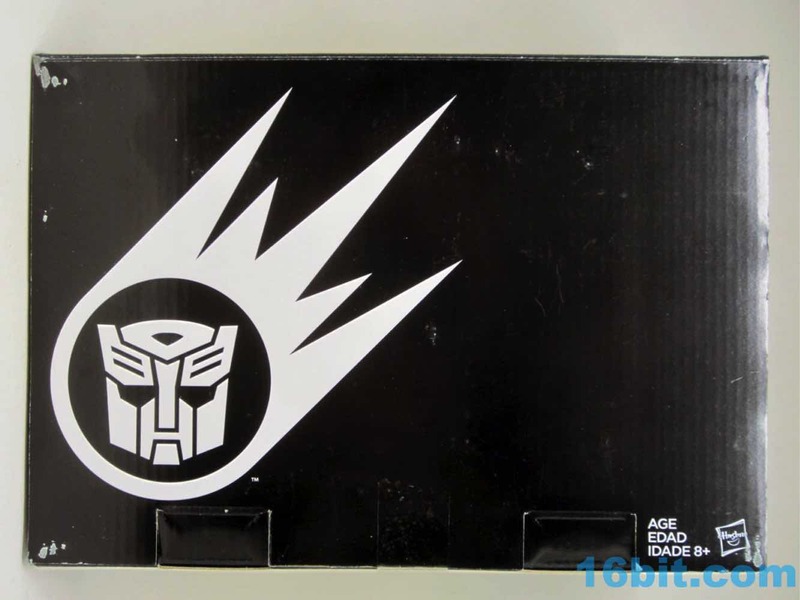 Rather, the figure just looks like she's in a mailer box that unfolds to show off some nifty artwork and trays with embossed name plates for Arcee and Ultra Magnus. 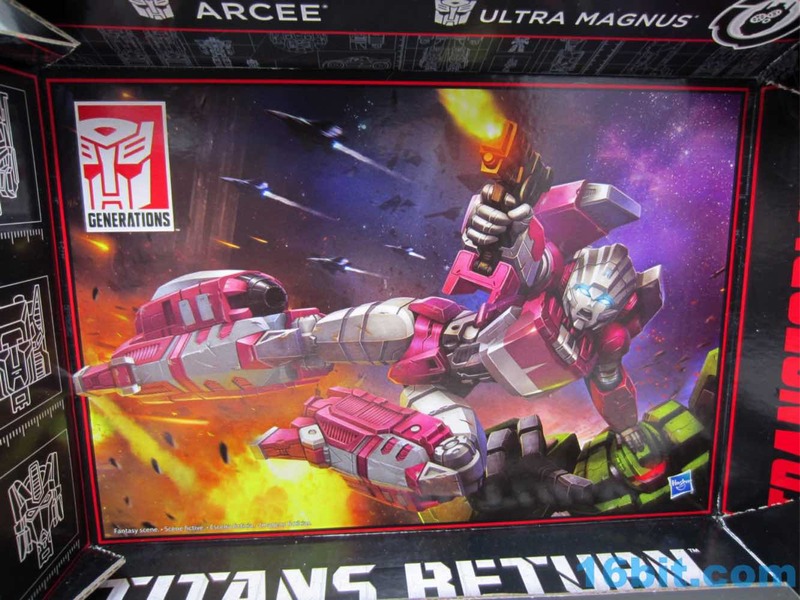 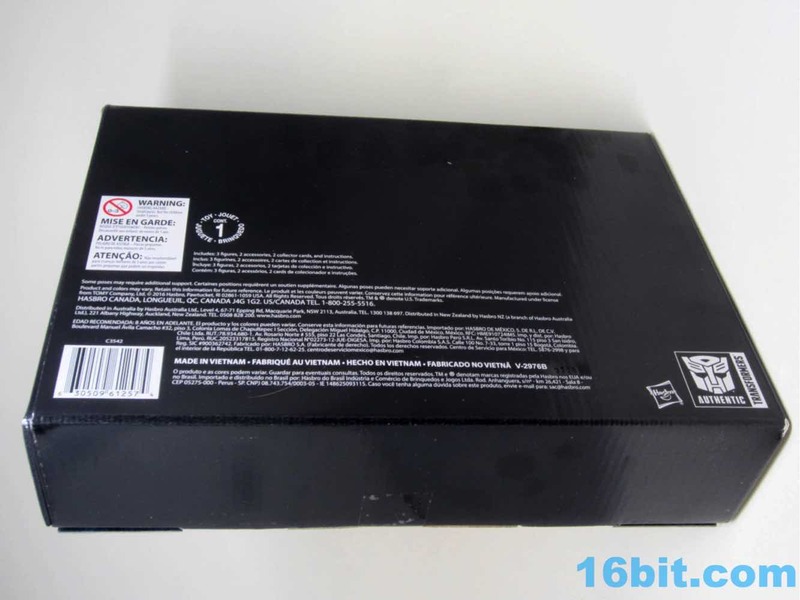 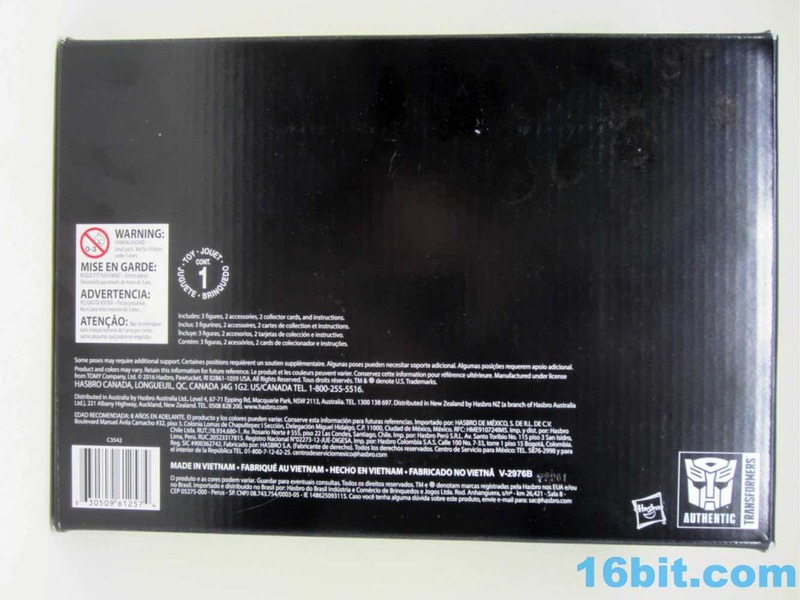 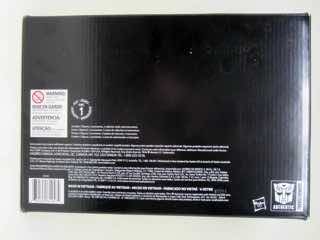 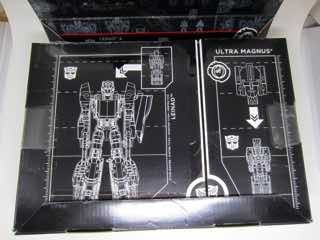 Unlike most of Hasbro's packaging, it looks terrible and bland unless you pop it open - and then it's gorgeous. It's a fun experience because you can touch the toys while they're still wrapped in with sock ties, but to get any real fun you have to cut the cords and free them. The first tiny head robot should look familiar, as it is 1.5-inches tall and has 5 joints. 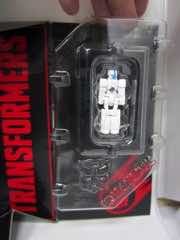 The face has red eyes and some blue stripes, with a white painted body and limbs molded in white plastic. 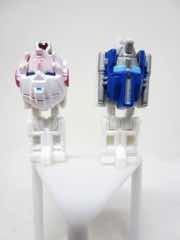 The figure's backpack is an Ultra Magnus head, and it looks pretty spectacular. 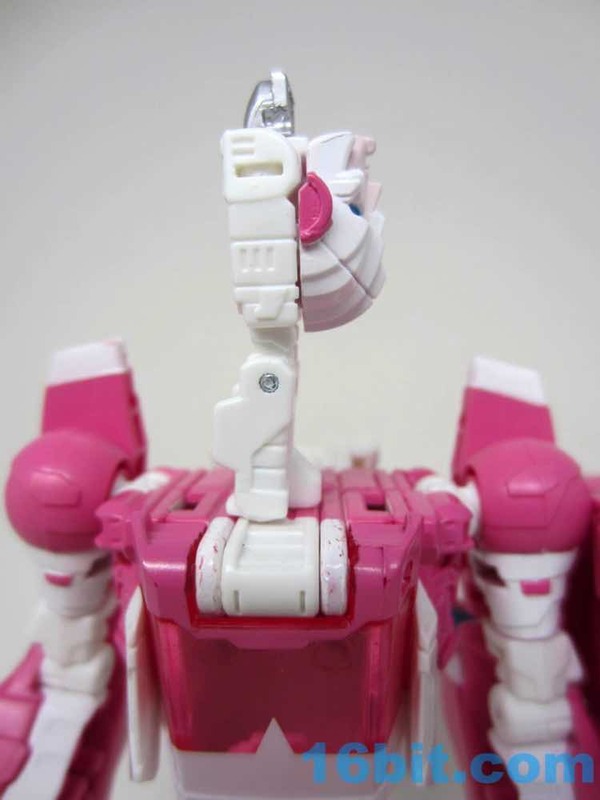 The figure has a good weight, and the big head has nice detail. 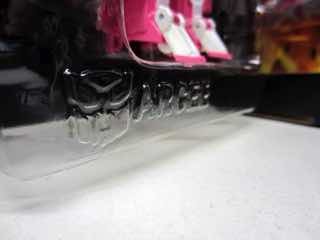 The second head is Leinad, modeled after Daniel from the animated cartoon. 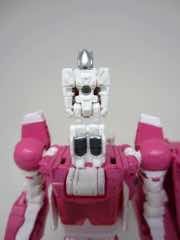 It has a new helmet, painted silver with no discernible features. 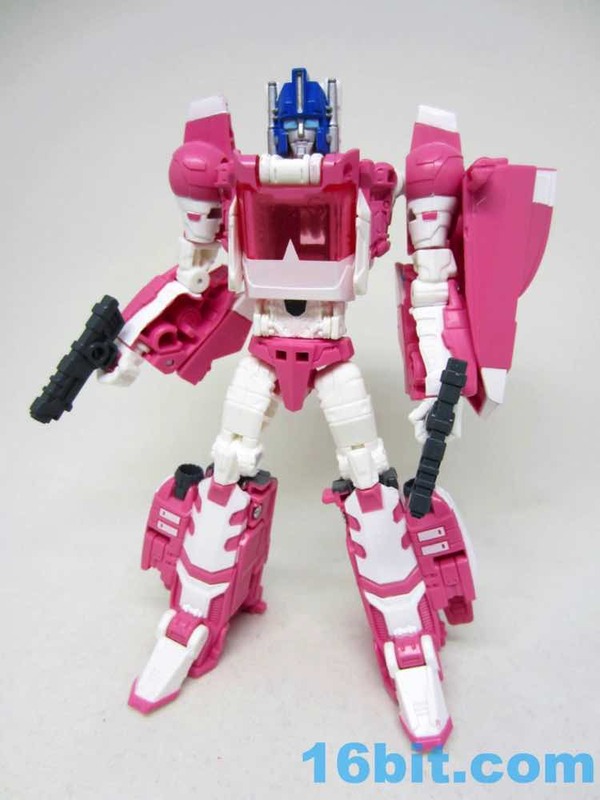 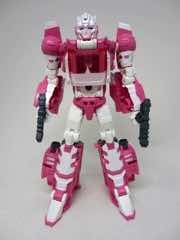 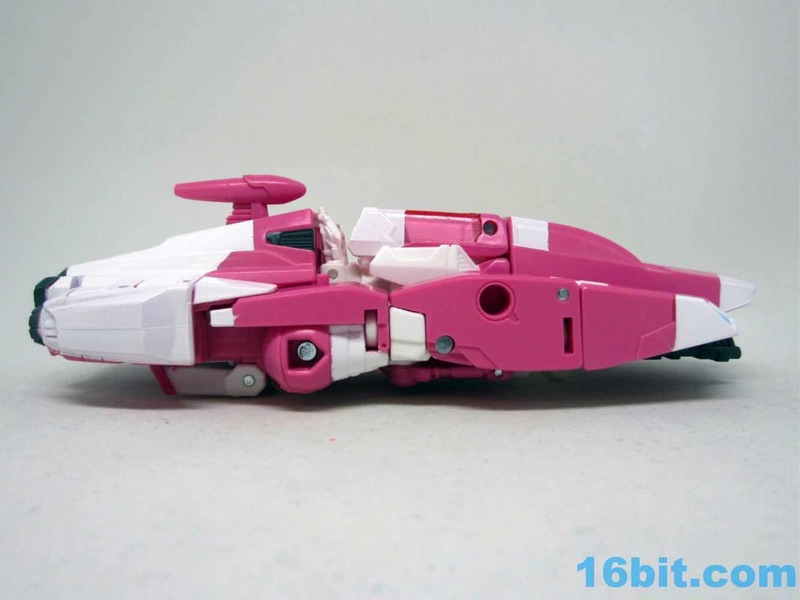 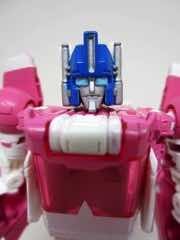 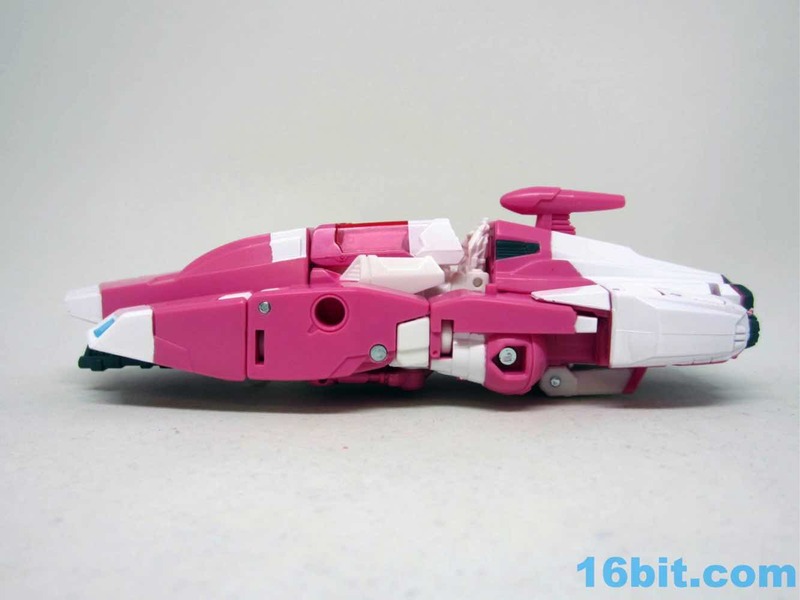 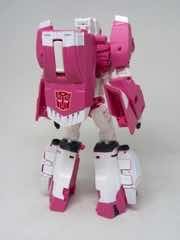 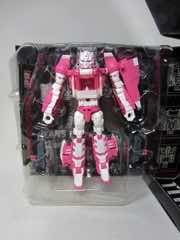 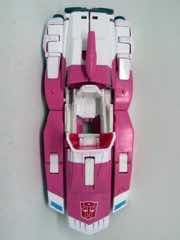 It has an Arcee face that looks less like the cartoon and more like an imagined face of a 1980s toy that never existed. 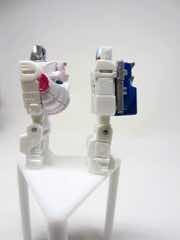 There's a white helmet and a very pale light pink face with blue eyes. 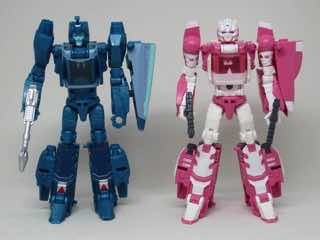 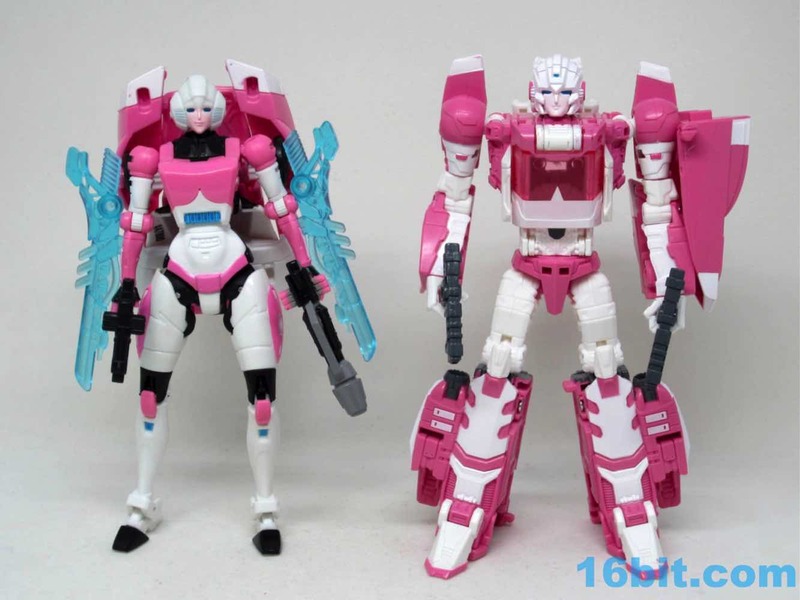 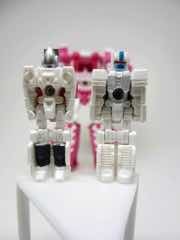 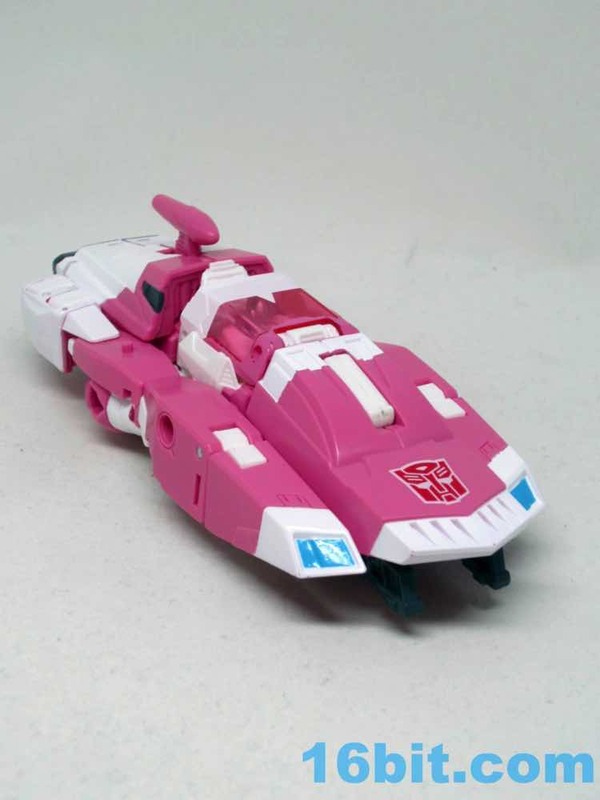 Arcee's robot mode is a lot like Blurr, with 3 key differences. 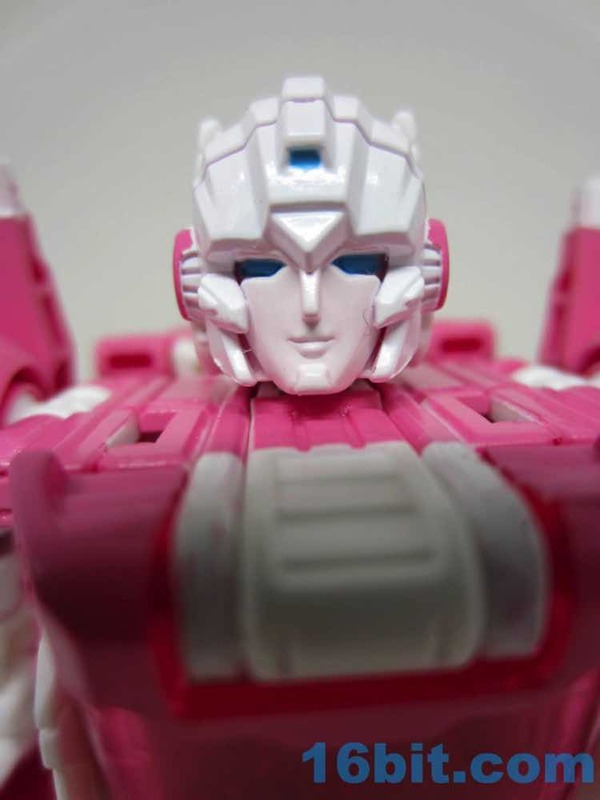 First, her head - it's Arcee, and not Blurr. 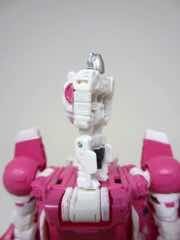 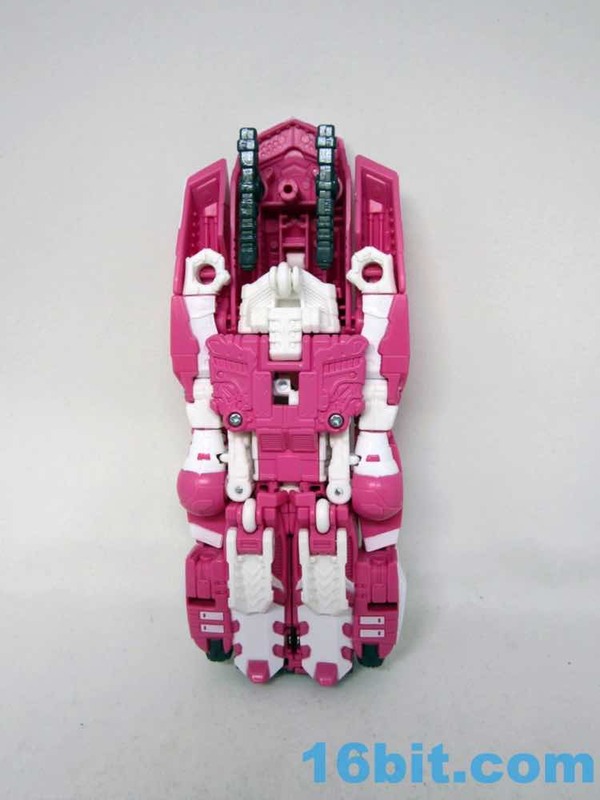 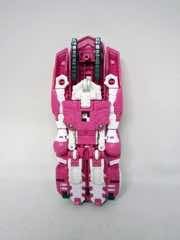 Second is the coloring - t he pink toy has been given a lot of white parts and a lot of paint. 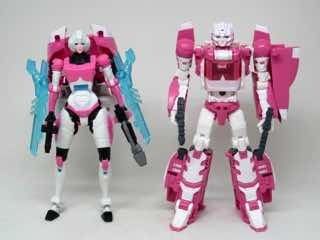 Third, new kibble - the shoulders have fake Arcee convertible pylons, plus a shield/backpack is a new piece that's distinct from Blurr. 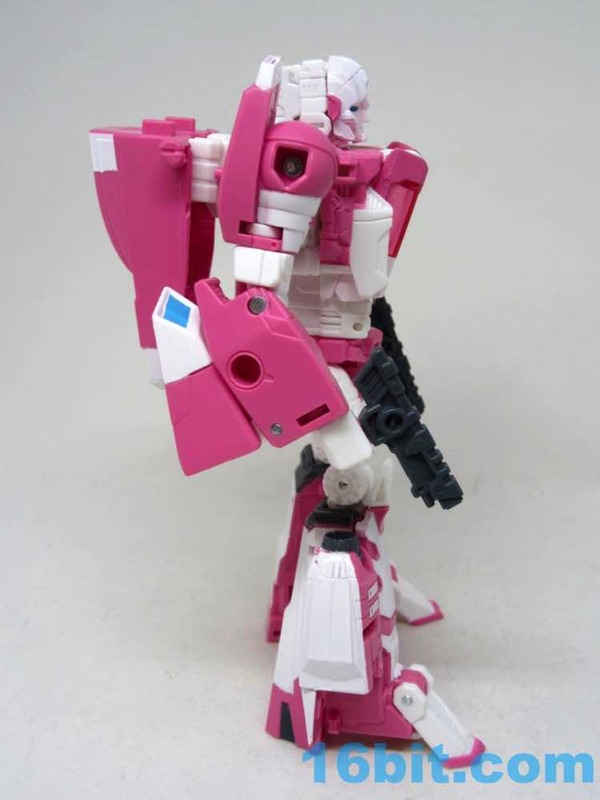 Her articulation is just as good as Blurr's, 18 points of articulation allow for some action poses and combat action, especially as she can hold her two new blasters. 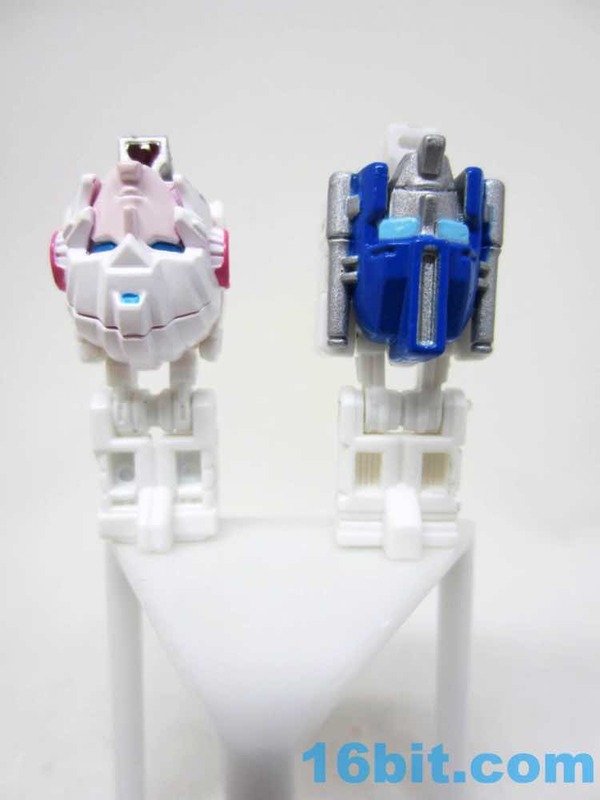 You can also store these in the car kibble shield backpack if you're so inclined, which I really appreciate. The figure's detail is very similar to other toys, and the main thing that bothered me was a lack of an Autobot symbol on her robot mode. 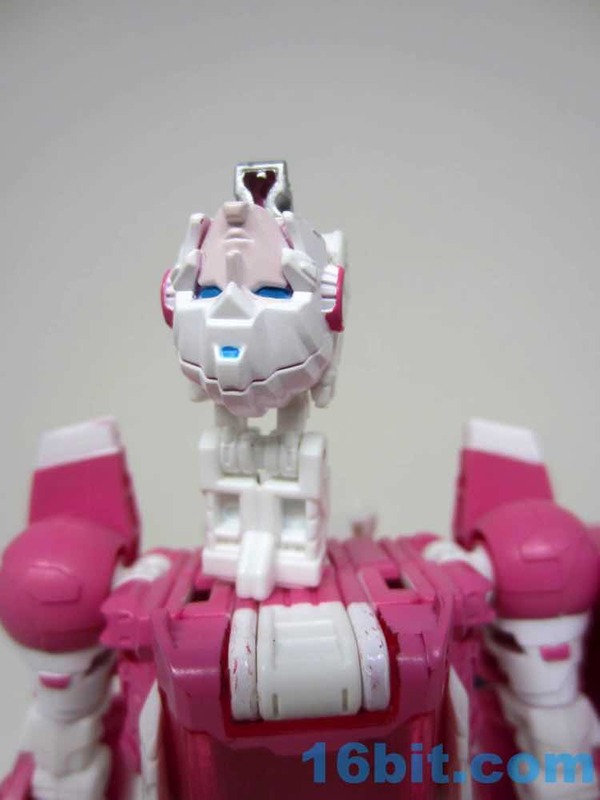 Shouldn't she have one somewhere? 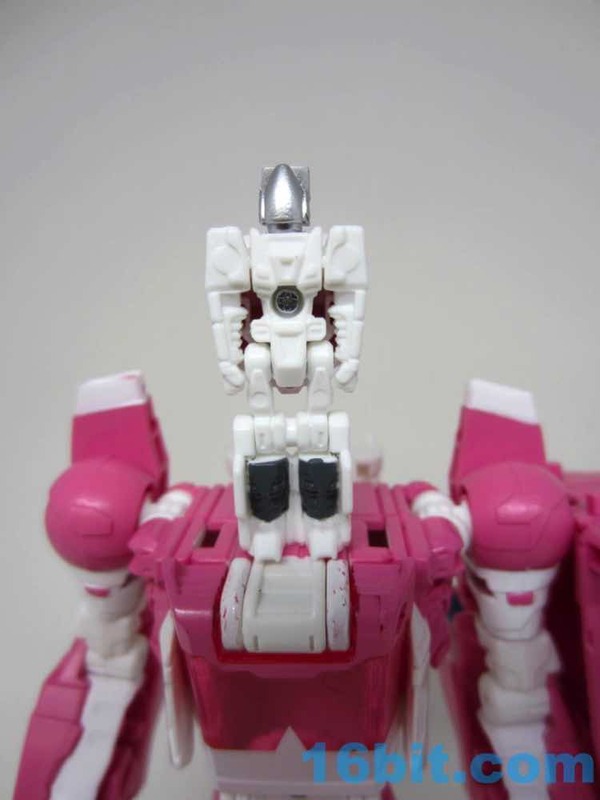 There's a big one on her shield, but that's really more of a backpack thing. 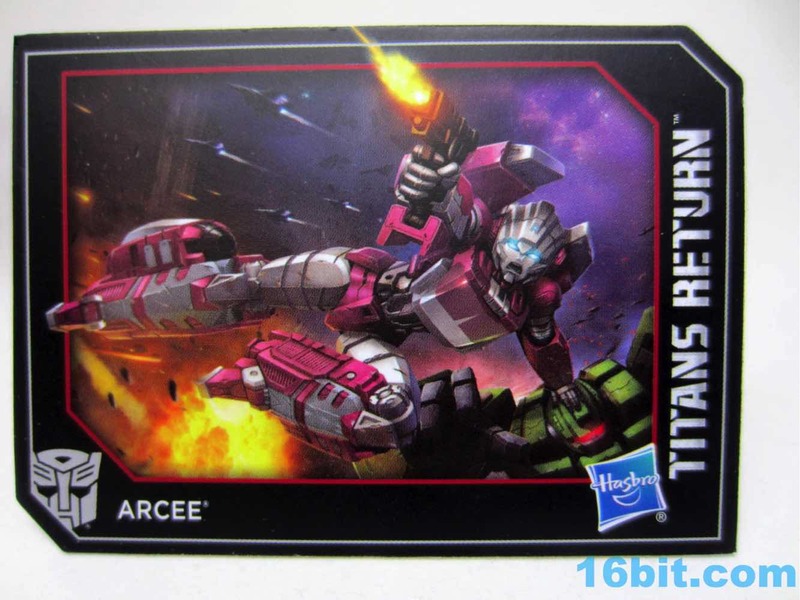 This Arcee means business, and isn't just "Princess Leia robot" - she's bigger, bulkier, and looks more dangerous than the last one. 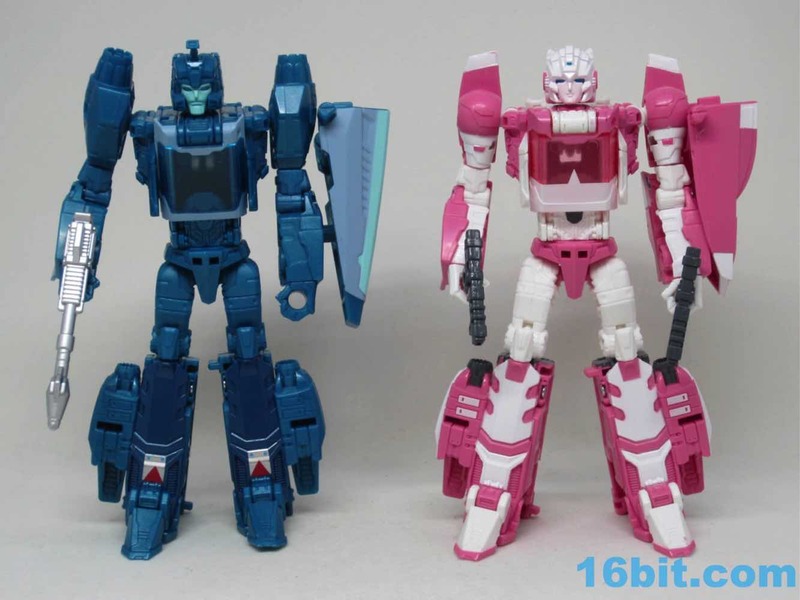 Transformation is basically like Blurr [FOTD #1,485] just with some different looking parts. 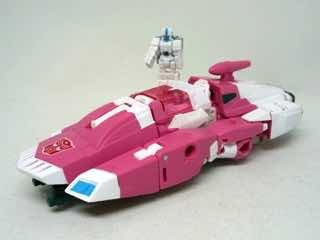 Engineering is effectively the same, so if you liked Blurr you'll like flipping, opening, twisting, and converting Arcee to a futuristic car with a newly-tooled spoiler and hood to make things look more interesting. That shield/hood piece also makes a nice little vehicle for Ultra Magnus. 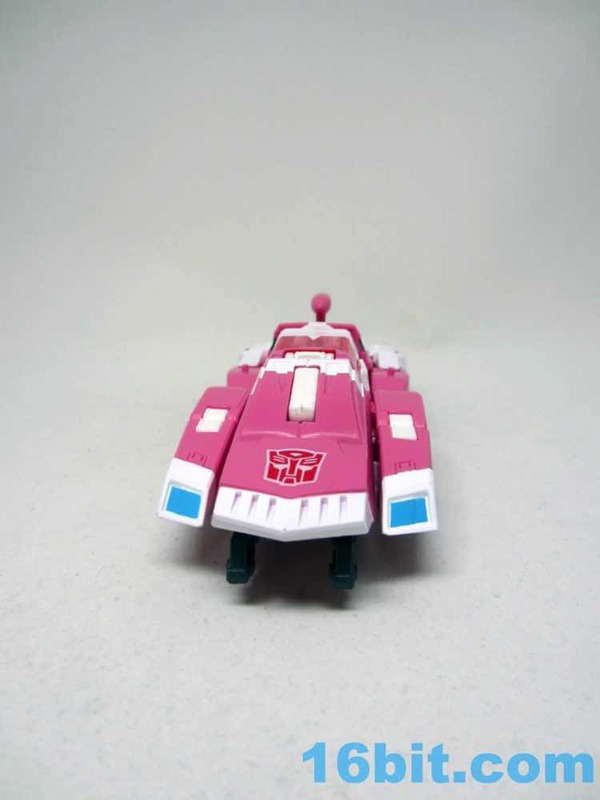 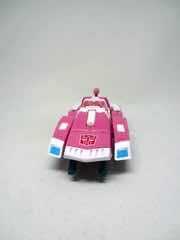 The car is basically Blurr, but in pink, with a couple of new bits. 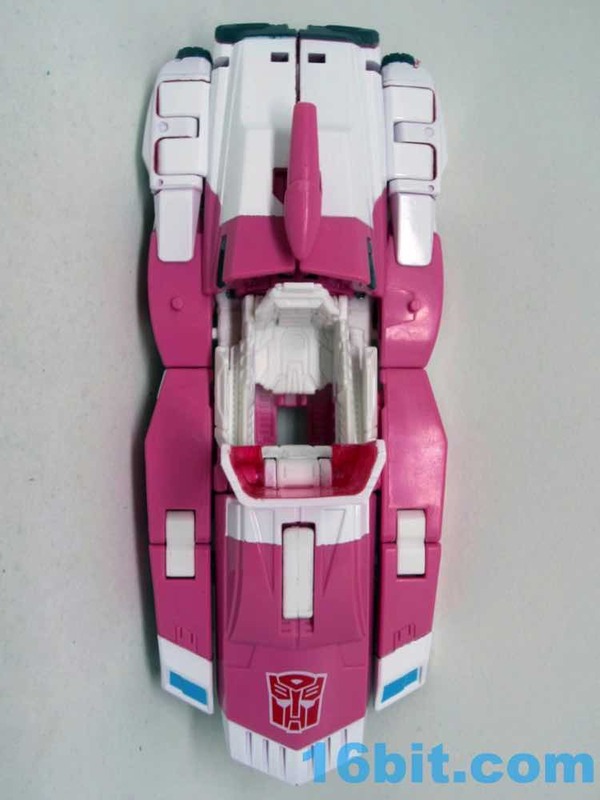 It rolls a bit, and can open up to seat Leinad or another Titan Master or Prime Master figure. 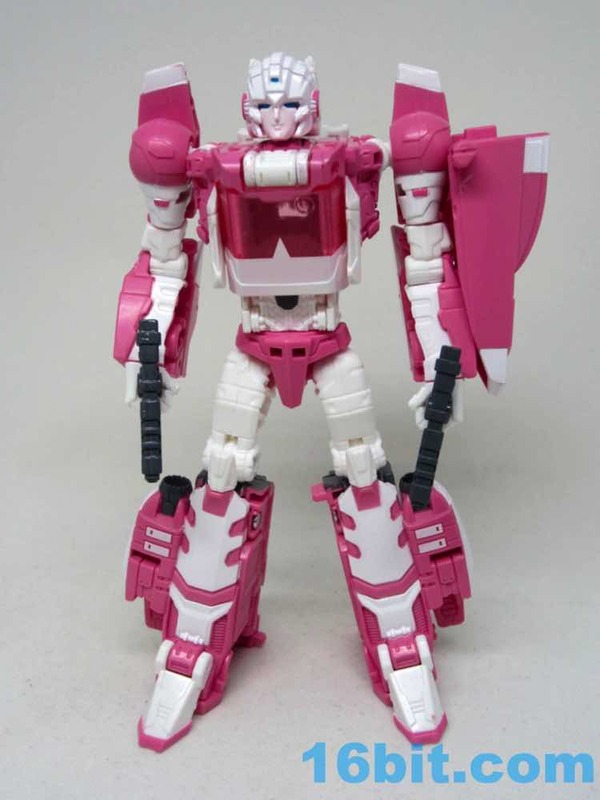 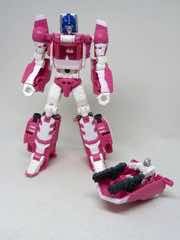 The Thrilling 30 version is probably more for most older fans, but if you want a new Arcee this ain't bad. I's pink, at least. 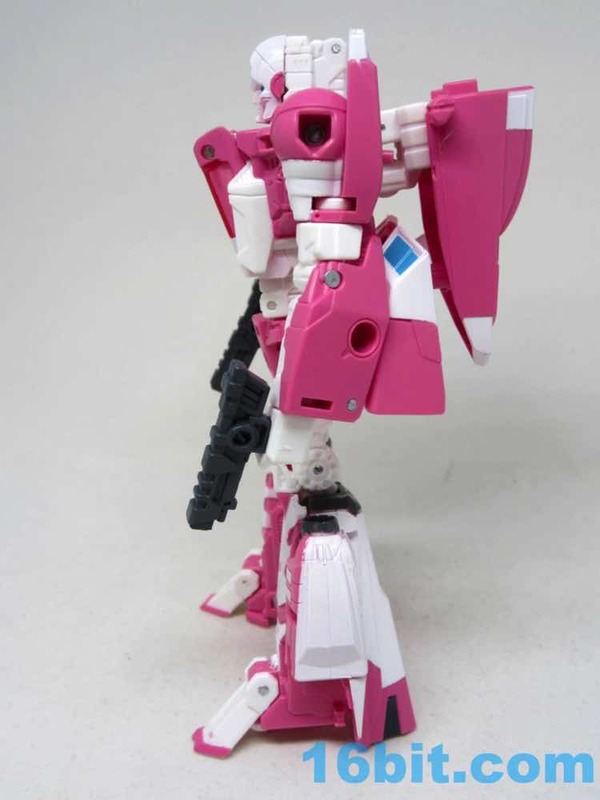 While unnecessary, fans have been asking for this figure for years. 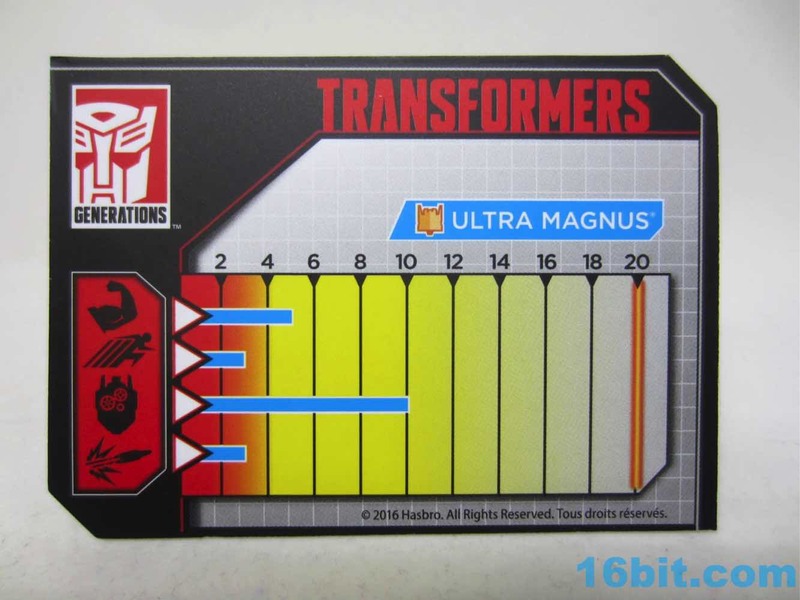 One specific fan has been asking Hasbro at conventions for ages, so seeing it debut at the first HasCon made a lot of sense. 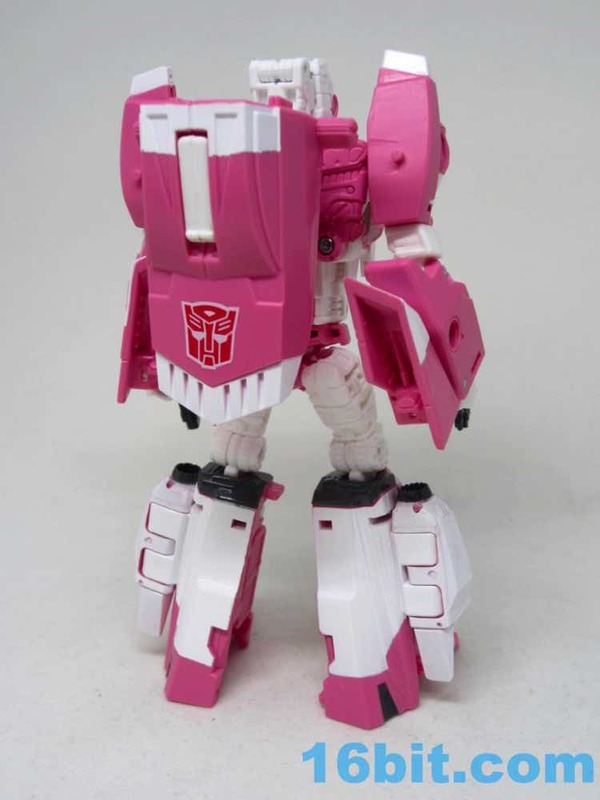 There aren't a ton of things fans have clamored for left to do, since we've had Scrounge and Straxus and other characters become toys. It's another item people have been demanding, and Hasbro has been increasingly good at delivering the weirdness over the years. 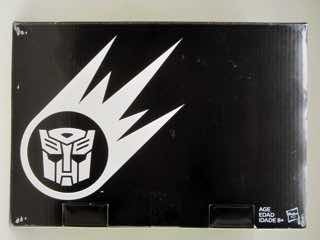 May start to run out of cool old things left to make for the very first time.